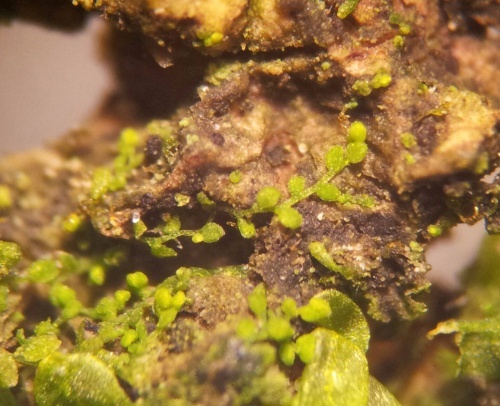 The perianths of C. minutissima, which look like 5-pointed stars emerging from dense patches of slender (up to 4 mm long and 0.5 mm wide) shoots are the most striking character of this pale green leafy liverwort. 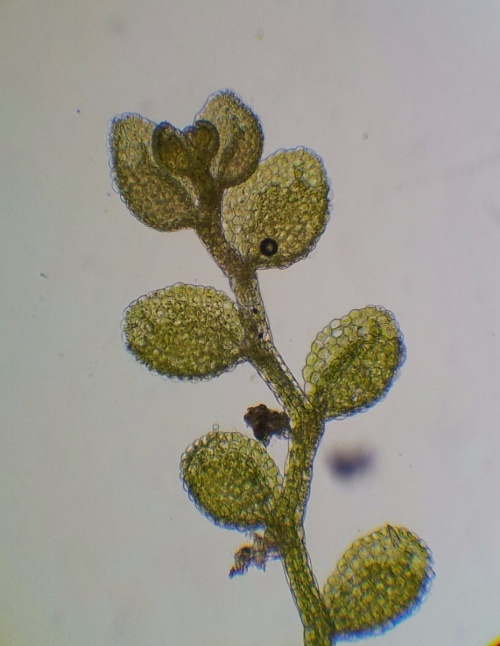 The leaves are minute (up to 0.25 mm long) and rounded, with a lobule almost as big as the lobe. There are no underleaves. Individual shoots look like a string of beads. C. minutissima grows on sheltered tree trunks in humid places, and much more rarely on rock. It is markedly coastal and southern in Britain, but there have been more inland records in recent years, and the species has crept northwards along the west coast as far as the Outer Hebrides.